Remote drone strikes have become a shockingly staple part of modern warfare for the USA and UK. With USA’s first attack in 2002, their usage has steadily increased — for example, during the first two years of the Obama administration, there was a drone strike in Pakistan every four days. As a result, there has been a surge of stories and interviews from drone pilots going public over the last few years. Reading the harrowing accounts of these men and women, who are controlling the drones and missiles from thousands of miles away in American airbases, it always felt like a topic that would result in compelling, morally-questioning cinema. Eye in the Sky is exactly that. "...it shows every viewpoint, every angle involved in this story, in a largely unbiased way. There seems to be little agenda, leaving the viewers to form their own opinions." Directed by Gavin Hood, the film actually follows an incredibly simple and minimal plot. Characters largely remain in the same room for the majority of the movie, most of it runs as real-time, and there’s little unpredictability. This serves to emphasise the almost inevitable yo-yoing of morals you’ll experience while watching. Focus lies on a handful of locations. In the slums of Nairobi, Kenya, we are introduced to the true enemies, a collection of Al-Shabaab extremists, two of whom have been tracked for years by Helen Mirren’s character, Colonel Katherine Powell, an intelligence officer for the British military. We’re also introduced to the true innocents of this story; a couple and their young daughter, situated next to where the extremists are secretly meeting. The drone that’s tracking them is controlled by Steve Watts (Aaron Paul), and Carrie Gershon (Phoebe Fox), working from an air force base in Nevada. While in the UK, the operation is being lead by Colonel Powell and her team in Hertfordshire. In parallel this is observed by Lieutenant General Frank Benson In Westminster (played by the brilliant Alan Rickman) alongside a collection of government officials. This British led operation also has helping hands from ground soldiers and informants back in Nairobi. 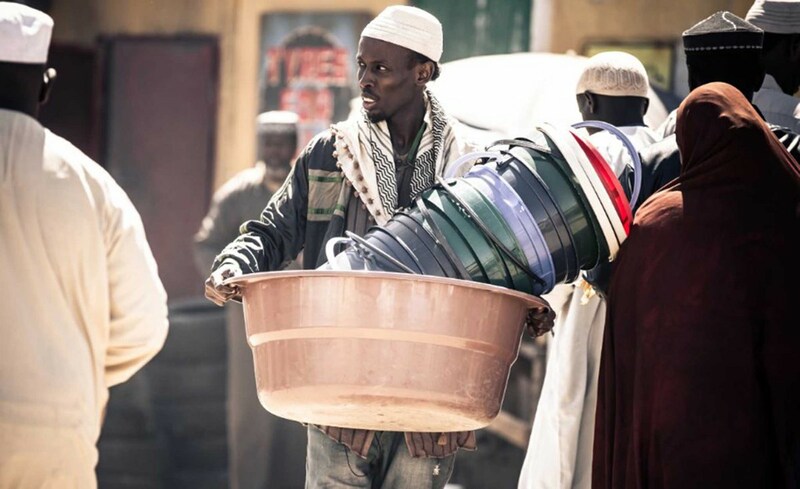 Barkhad Abdi stars as an informant in Nairobi. What was initially planned as a relatively simple observe and capture mission, quickly escalates into a mission objective of "kill", after gaining eyes into the extremist's meeting revealing two new recruits and their suicide vests. What follows is 90 minutes of political debate, moral juggling, and incredibly tense cinema. "Viewers who generally veer towards anti-war views, myself included, will likely feel grilled by Rickman's brutally eloquent tongue at the finale." Eye in the Sky reveals the true nature of modern warfare — chaotic and yet democratic, surreal, deceitful, sometimes comical (yes, apparently British military decisions can be made on a toilet in Singapore). It shows the many levels of decision making, where the people with the power to make decisions avoid making those decisions altogether, forever passing it on the person above instead. It shows how the line between "good and evil" isn't well defined at all. Viewers who generally veer towards anti-war views, myself included, will likely feel grilled by Rickman's brutally eloquent tongue at the finale. It shows how politicians can favour saving face over saving lives. And best of all, it shows every viewpoint, every angle involved in this story, in a largely unbiased way. There seems to be little agenda, leaving the viewers to form their own opinions. And opinions you'll have — forever changing as new perspectives, scenarios, and data are thrown at you, which makes the experience of watching this all the more thrilling. 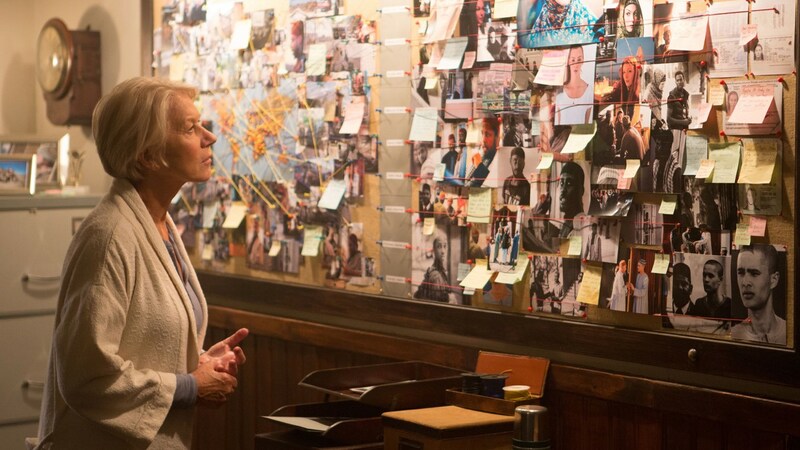 Eye in the Sky is wonderful filmmaking, and definitely recommended.